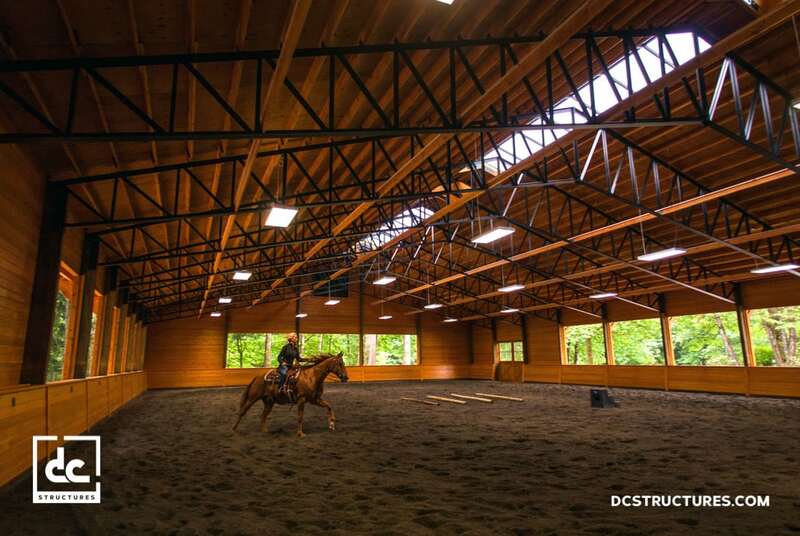 This beautiful arena measures 80’ x 132’. 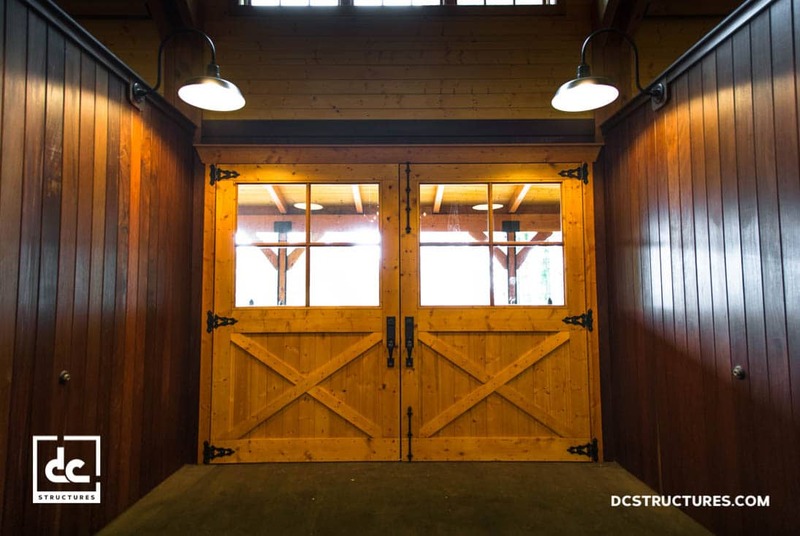 A 12’ x 72’ shed roof on the backside of the arena contains a 12’ x 24’ enclosed viewing room that the client decked out with hardwood floors and top-of-the-line infrared heaters. 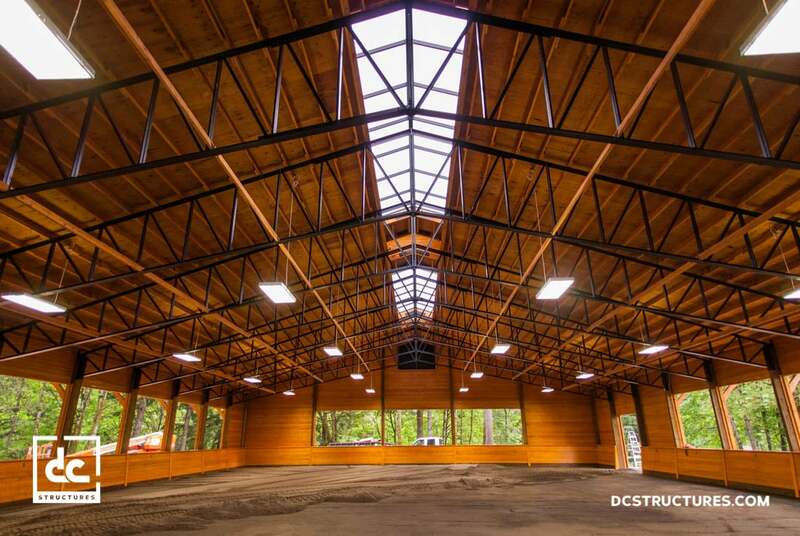 Three cupolas with windows helps to fill the arena with as much natural lighting as possible. 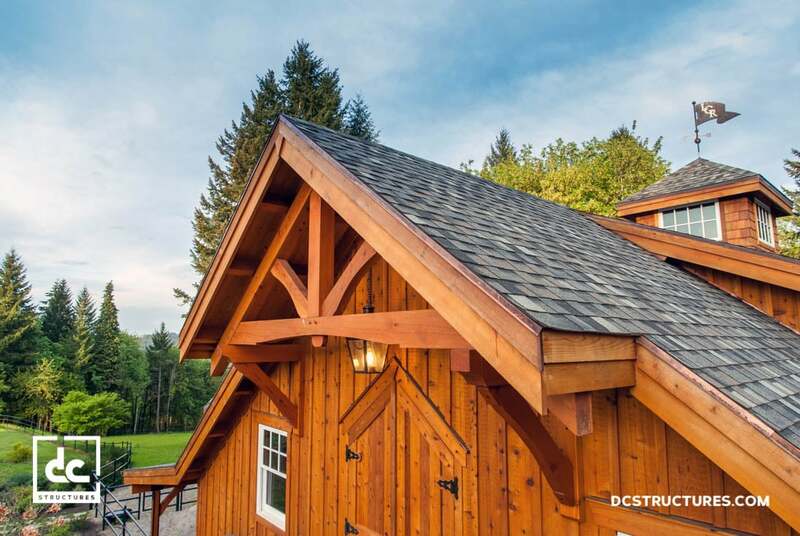 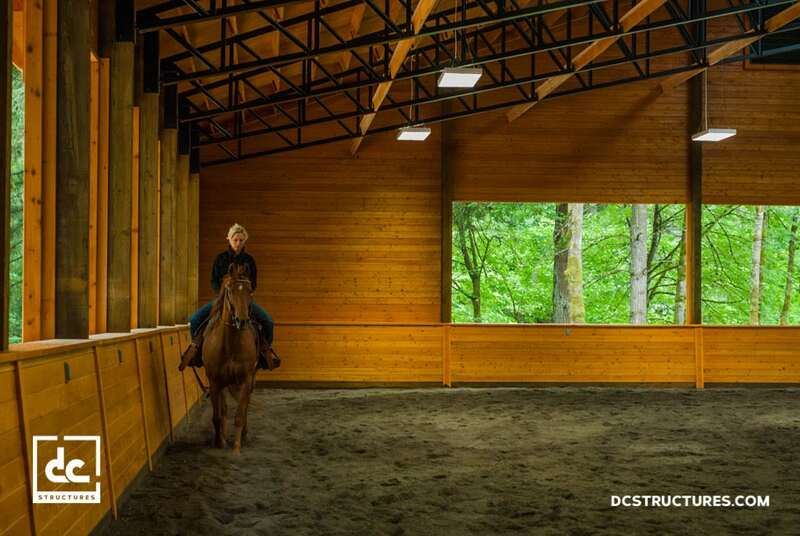 This covered riding area also features cedar board and batten siding throughout the exterior and in the viewing room, with Douglas fir tongue and groove siding on the interior walls and rub rail. 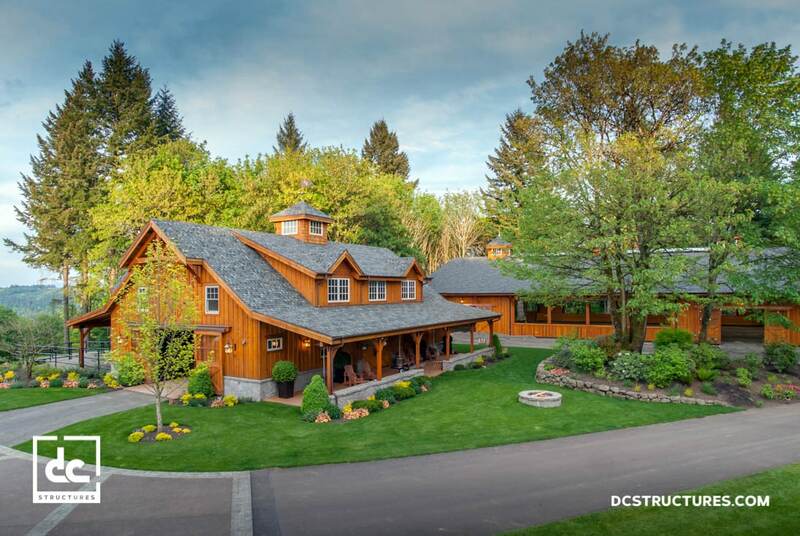 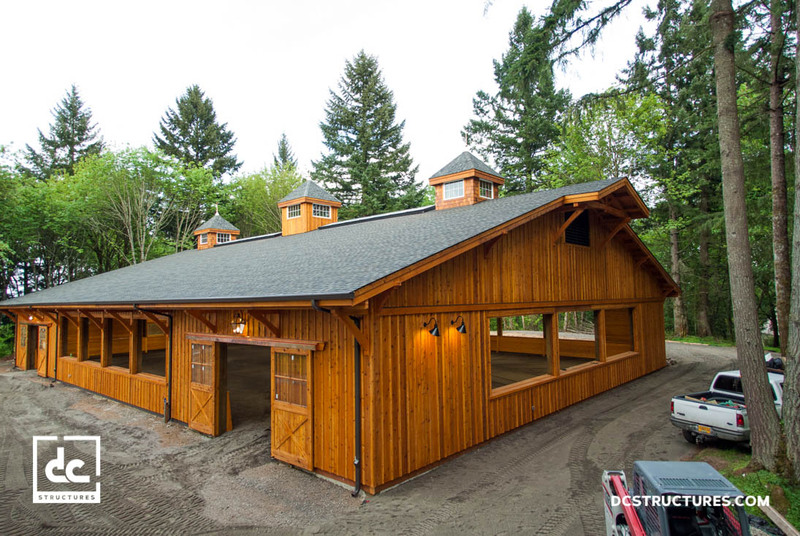 When construction finished for the iconic Last Chance Ranch barn, these clients decided they wanted a matching arena for year-round riding. 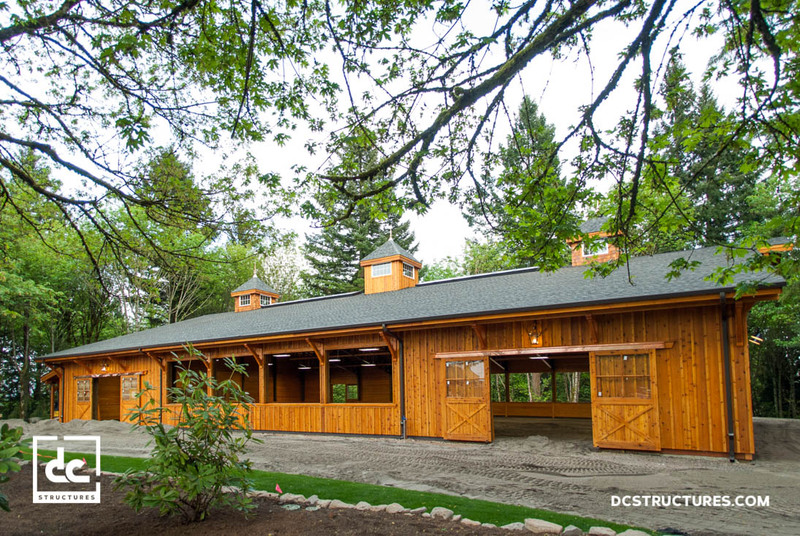 Without hesitation, the DC team stepped up to the plate and delivered this state-of-the-art covered riding arena. 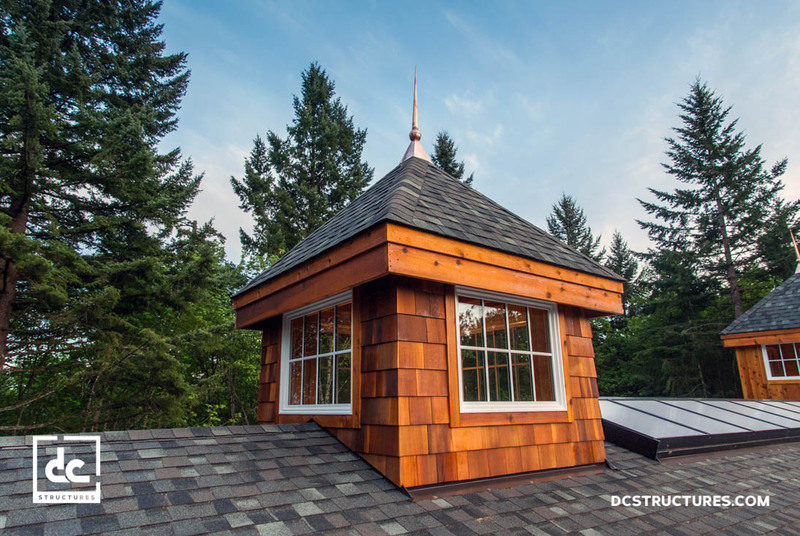 Watch the video to see what our clients have to say about working with DC Structures!